As your business expands it may need to take on employees. It is crucial that the terms and conditions of that employment are clearly understood by both you and your employees. The terms under which you offer employment can either be written, oral or even implied. Remember that even if you only have an implied or oral contract with your employees, this is still a binding contract. Most businesses use a written contract of employment as this enables them to clearly set out the duties, terms and conditions of the post. In the event of a dispute, the contract of employment can be used as a reference document to swiftly deal with any misunderstanding. You can read more about contracts of employment on the ACAS website: www.acas.org.uk. 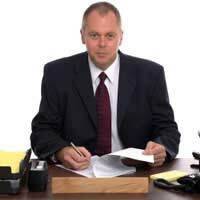 If you are not confident that you can draw up a contract of employment yourself, always seek professional help. Your solicitor can help you ensure your terms and conditions of employment are legal. You can also use the tool on the Business Link website that can help you create a simple statement of employment: http://tinyurl.com/2hsbun. This information must be provided in a single document. Other terms such as pension provision can be given in one or more separate documents or could be included in your business's handbook that all employees have the right to consult at any time. As your business evolves it may become necessary to make changes to a contract of employment, and therefore the terms and conditions it covers. Remember that a contract can only normally be varied if both you and your employee mutually agree to make the changes. There could be serious legal consequences to making changes to a contract without this mutual consent. There are strict rules about how an employee can be dismissed. The contract of employment's terms and conditions should set out the disciplinary procedure that your business has adopted so your employee understands this process. The period of notice should also be given so both parties understand this component of the terms and conditions. Many small businesses also employ people on fixed-term contracts. Under the Fixed-term Employees Regulations 2002, these employees are entitled to the same terms and conditions - including written statements of employment - as your full-time employees. You can read more about fixed-term work on the BERR website: http://tinyurl.com/2u6ydr. The hours that your employees are now closely controlled by the Working Time regulations that are especially stringent if you employ young people. There are now maximum limits on the number of hours that anyone can work. Remember that working hours must appear in an employees terms and conditions document.